including the danger— is often unrecognized. Power theft carries deadly risks. Many thieves pay for the power they steal with their lives. Electricity theft is not just dangerous for those who steal. If you are on the same power line as someone who steals electricity, you could pay the cost for their theft too. The power line could become overloaded with electric energy, which could harm your electronics and appliances designed to receive a certain steady amount of electricity. Electricity theft makes power service less reliable and lower quality for paying customers. Electricity thieves may also unknowingly feed energy back into the power line. This is dangerous for lineman, who may assume the power line they are working on is de-energized. Notify your electric utility immediately if you know of an illegally connected consumer. 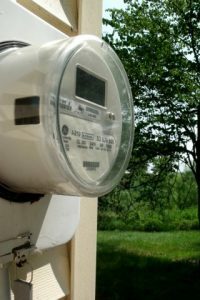 Do not cut the seal on your meter base or tamper with your own meter. Apply for a legal connection if you do not have one. Remain aware of your surroundings and report any suspicious activities to your electric utility. Most electrical theft crimes occur through meter tampering, bypassing meters, and tapping power lines. Other less frequent crimes include tapping into neighboring premises, using illegal lines after disconnection, self-reconnection without consent, and electrifying fences. Possessing fraudulent electricity bills is also a federal crime and is punishable by law. Everyone is affected by power theft, and detecting and reporting illegal activity will help reduce the price we all pay.